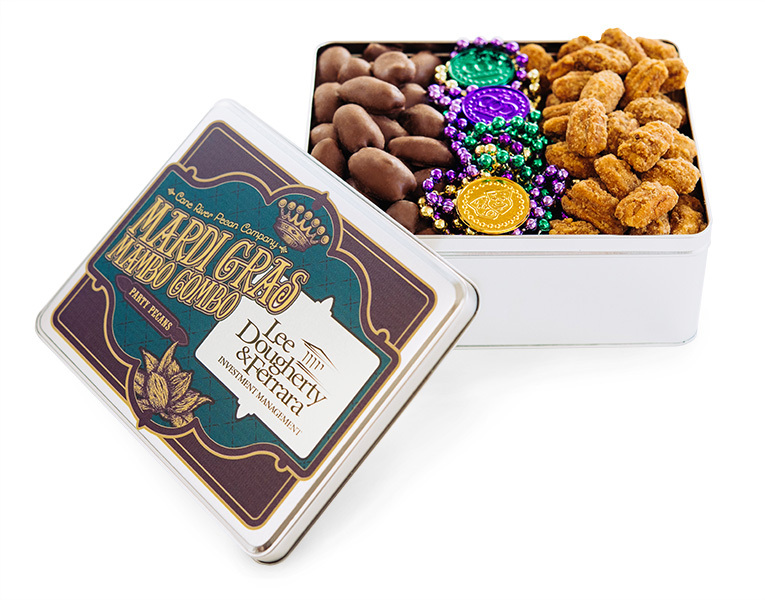 Make a royal impression on your clients and friends with the customized Mardi Gras Mambo Combo tin by Cane River. 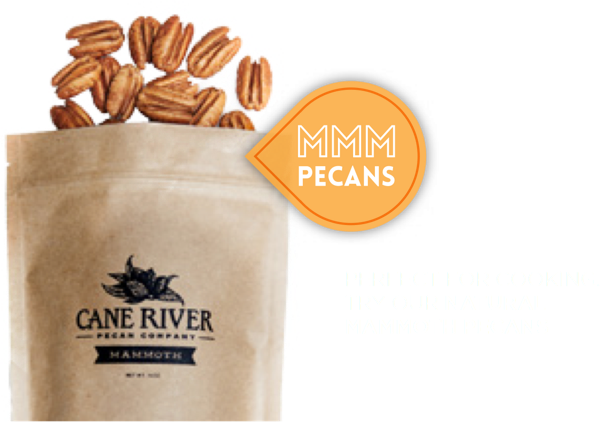 The party pecan assortment features our most popular combo of snacking pecans...Milk Chocolate-Covered and Praline pecans. 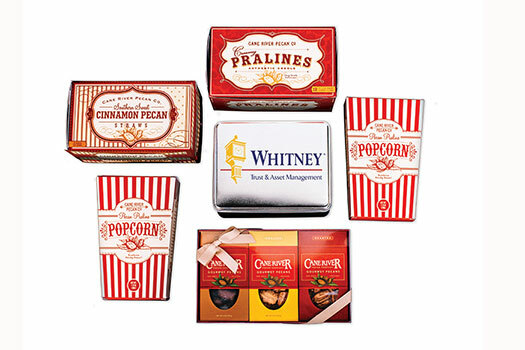 The pecans are delivered in a Mardi Gras themed tin that can be easily customized with your company name or message. 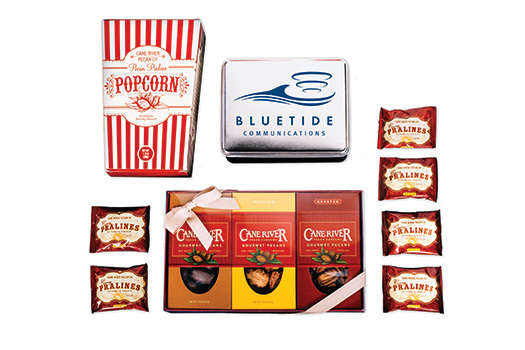 Up to 60 characters (including spaces) can fit in the customized area of the tin lid. A minimum order of 48 tins is required for a customized order...please allow a seven day turnaround on all custom orders. To place a custom order please call Toll Free 1-888-365-4136 and a Customer Service Representative will take your order.